It is Friday night and, while all your friends are out on the town, you are sitting in bed with nothing to do. Yes, you could go to the bar, but that is not your scene. Besides, you were hungover last weekend and didn't feel like putting your body through that for a while. So, what do you do? We crave our weekends off but sometimes don't know what to do with ourselves once the free time becomes available. Whatever your reason for staying in (saving money, introverted homebody), we all have those weekends where we refuse to leave our house. 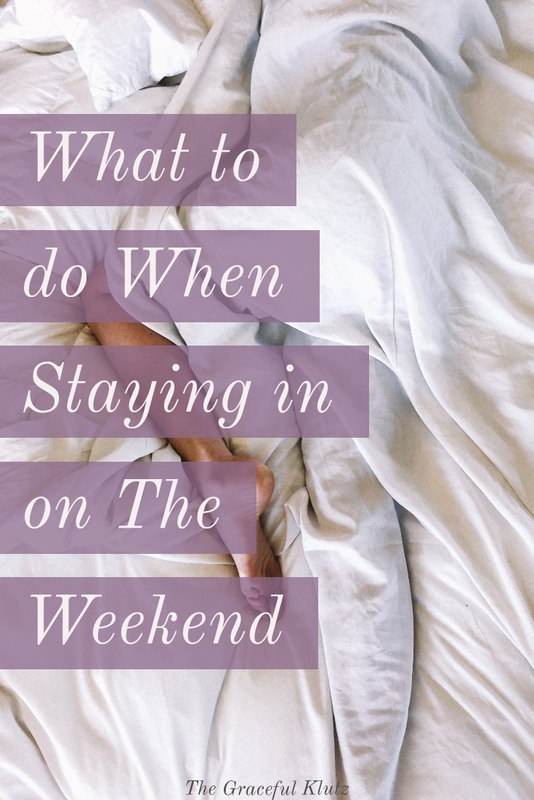 While it might seem like you are stuck to twiddling your thumbs in bed all day, there are various activities you can do during these 48 hours. I love staying in on the weekends and tackling various chores or events that I don't usually get to do. If you are trying to find a few new things to do this weekend, this is the list for you. The best thing about each one of these ideas is that you don't have to step a foot outside of your house if you don't want to. However, I do love grabbing a fancy coffee at least so that I can say I left my home at least once. This community is something I found while reading an article on Girlboss several months ago. As the website says, it is a newsletter for any gal out there who wants to stay in instead of going out. They email you every Friday with a list of things to read, practice, and do on your night of blissful tranquility. You can even head to their website and read some fantastic articles that will get you motivated and in that self-care lifestyle. Girl's Night In is one of my favorite websites out there (and for a good reason). Sometimes we can feel alone when we sit at home by ourselves. This subscription makes you part of a community of like-minded women all over the world. Girl's Night In is a mental health space that helps improve your mindfulness, entertains, and leaves your Friday filled with activities you'll enjoy. I made a New Year's resolution to read at least two books each month. When I was in high school, I read almost every single day. The number of books I would go through in a year was astonishing. I loved falling into a new world and escaping mine for a little while. No matter what genre you like to read, I encourage you to pick up a book and your comfiest sweater. For me, a book helps relieve any stress and anxiety that has built up throughout the week. It gives me a chance to forget about all those lists and schedules while I fall in love with a fictional world. 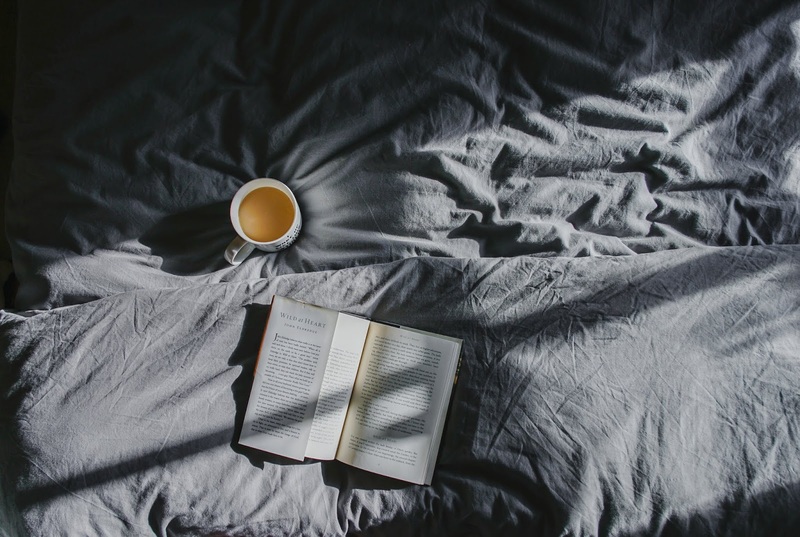 Besides the entertainment a book can bring, reading is also known to help make us more educated and well-rounded (a bonus we all can get on board with). If you are looking for a new book to read, I highly suggest My Best Friend's Exorcism. It's a fictional book that will make you laugh, cry, and cringe. The Monica in me loves doing this on the weekend. You don't need springtime as an excuse to declutter your home. I try to use one weekend each month to complete one project in my house. For instance, last week I decided to deep clean my floors (something that I haven't done since moving in). A few weeks before that I went through all of my clothes and donated what I no longer wore. Cleaning is a great way to clear out space and settle your stress. Don't ask me how it works, but a clean area equates to a clear mind. You'll feel accomplished after completing the task, and it will feel great to walk into a decluttered house. Blast your favorite music, pour yourself a cup of coffee, and get to organizing. I love to incorporate both of these on the weekend. If I need to recharge and not think, I'll put on a favorite movie and face mask. Similar to reading, a film can help eliminate some of the stress that has accumulated over the last five days. If you are not into a spa night, you can always make it a snack time. My boyfriend and I have movie nights at least once a month where we buy a load of snacks that are probably not the healthiest and fill our stomachs while watching a new movie. It is a great bonding time that lets us relax while still being entertained. Are you not a movie person? Go ahead and binge watch an entire season of a show you've been dying to watch. No one is judging here. Did you buy art supplies six months ago that are collecting dust in the corner of your spare room? Why not grab them and make a piece of artwork? The free time you have is a fantastic moment to start something you've always wanted to try. Whether it be art, exercise, or a Youtube channel, go ahead and give it some quality time. I find starting a new hobby to help pump up my motivation for other projects. I started my blog as a hobby and loved it so much I turned it into a career. You might find that you enjoy it so much it turns into a passion of yours. Need to shop but don't want to leave the house (or your Christmas sweats?). That is the beauty of the technological world we live in now. You can buy almost anything online with just a few clicks. Even if I don't have money, I love creating lists on Amazon of things I need to purchase at some point in the future. Alternatively, if you are a broke gal/pal, you can always window shop (this is one of my favorite past times). Sometimes online shopping can give you ideas for things you already have around the house or a DIY project you have meant to do. If anything, treat yourself to that little gift you've wanted to buy but never wanted to waste the money on (YOLO is still a thing? Right?). This activity is one of the greatest to unwind and recharge after a long week. There are so many different ways you can practice mindfulness. Find what works best for you, and spend your weekend relieving all that stress. You could do anything from meditation, yoga, journaling, or even just taking things slow. I practice mindfulness by doing everything intentionally throughout the day. I take my time in the morning to enjoy my cup of coffee, write down my gratitude in life, and make sure to see the world around me genuinely. It might sound like a hippy philosophy, but you would be surprised how much better you will feel afterward. What are activities you enjoy doing on the weekend? Are you a going out gal/pal or someone who prefers sweats and the newest season of Riverdale? Let me know in the comments below. There is no wrong way to enjoy your weekend. Unless you plan on murdering someone, that is usually frowned upon in society.